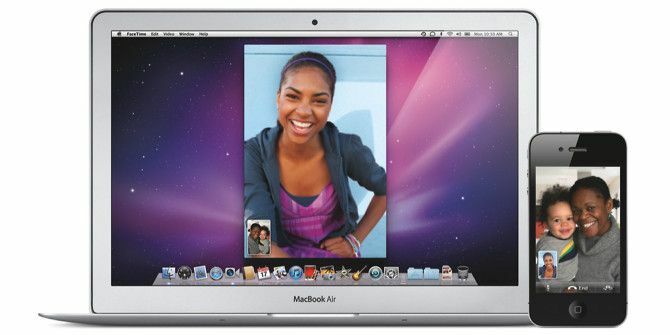 Apple’s FaceTime is seen in many of its commercials, but some Mac users may not realize that the application is also available for use on their desktop computer. Perhaps this is because the Mac version of FaceTime has to be purchased from the App Store for $0.99 for users not running OS X Mountain Lion or later. FaceTime is free to use over Wi-Fi, including international connections, and it can also be used via some cellular networks, such AT&T. However, FaceTime calls can only be made with other FaceTime users who have the application installed on a supporting device including the iPhone, iPad, iPod touch, and a Mac computer. Services like Skype Skype - The Best Tool For International Video Conferences & Cheap Phone Calls Skype - The Best Tool For International Video Conferences & Cheap Phone Calls On the surface, Skype looks like an application for text, audio, and video chats, a great way to stay in touch with a friends. Only that it's more than that. Skype is a Voice over... Read More and Google Hangouts How To Use Google+ Hangouts To Meet With Friends How To Use Google+ Hangouts To Meet With Friends Google Hangouts is a key feature of Google+. If you are not using Hangouts already, you are missing out! Maybe you haven't yet joined Google+. 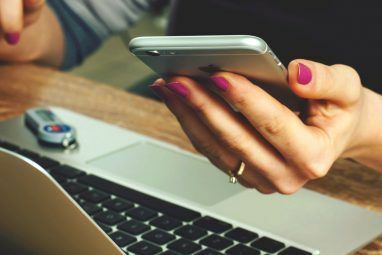 Well, if you do have a Google account, then joining... Read More are good free FaceTime alternatives for connecting with Windows and Android users. FaceTime is easy to set up after its been downloaded. Simply enter your Apple ID (you will be prompted to do so) and enable the application. You also need to designate a phone number and email address where you can be reached by other FaceTime users. You can even add more than one email account, though you’ll need to confirm each one. FaceTime will automatically connect to your built-in iSight camera and microphone, but you can also use a supported third-party USB video cam and mic (accessed under Video in the menu bar) for more flexibility. 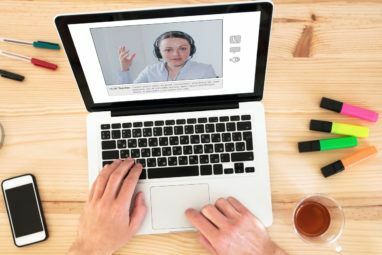 By the way, you can also use the iPhone as a webcam, as I explained in this article How to Use Your iPhone as a Webcam: 5 Methods That Work How to Use Your iPhone as a Webcam: 5 Methods That Work Did you know it's possible to use your iPhone as a webcam? Use it as a baby monitor, pet monitor, security camera, or more. Read More . Just like the Phone app on your iPhone, FaceTime connects to your list of Contacts through which you can place FaceTime calls and add contacts to your list of Favorites. Any contacts you add via FaceTime will be automatically added to your main iCloud contacts list. To make a FaceTime call, click on the phone number or email address of a contact and the FaceTime call will automatically initiate. The call will go through if the recipient has also set up FaceTime on his or her device, else it will fail. You can also right-click on the FaceTime icon in the OS X dock and select a contact in the pop-up list of recent FaceTime calls. 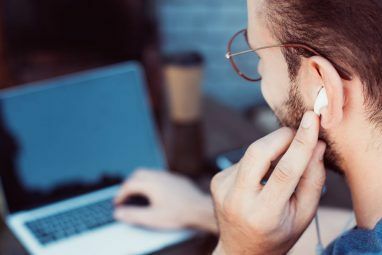 Before making the call, be sure the room you’re calling in is well lit, and consider using a pair of headphones instead of your Mac’s speakers to filter the audio from the other caller so that there’s no feedback noise during the call. Family members or other callers can make FaceTime calls to you (from another Mac or supported iOS device, including a Wi-Fi-only device) on your Mac by first tapping on the blue and white arrow next to your name in their Contact list, and then tapping on the FaceTime button. Note: FaceTime calls can’t be initiated via the iOS Messages app, which is where some users first look for it. In order to make FaceTime calls over your cellular network, the service needs to be enabled on the device (Settings > FaceTime > Use Cellular Data). AT&T allows iPhone users to make free FaceTime video calls over its cellular network if they have subscribed to one of the carrier’s Mobile Share data plans. Cellular FaceTime video calls can eat up a lot of data time, so it’s best to make calls over Wi-Fi when possible. Check with your cellular network to see if charges apply for FaceTime calls. The FaceTime application does not have to be launched on your Mac in order to receive calls from other users. When you are called, the application will automatically launch and ring if your Mac is running and awake. Missed calls will be listed under Recents > Missed in the desktop application. You can only use FaceTime with one person at a time, so if you want to take another FaceTime call, you need to click on the End Call + Answer button that pops up. If you want to block all FaceTime calls to your Mac or iOS devices, you will need to sign out of FaceTime on those devices. You can enlarge the FaceTime window to full screen, and the small window from the other caller in the picture-in-picture display can actually be clicked on and moved around during the call. The orientation of the small window can also be changed, which is useful if there’s more than one person in the window. FaceTime is mostly used between mobile devices, but the Mac version is still handy and more attractive to use than the Messages app, and it is better to use if more than one person will be in the call. Let us know if you use FaceTime on your Mac, or whether you prefer Google Hangouts or Skype instead. when I am working at my iMac and a FaceTime call comes through, I can see the FaceTime icon appear in my dock but no option to answer it. So I have to answer it on my iPhone5.